Officers in Fremont shot and injured a man who was waving a metal pipe and threatening people in a shopping center parking lot Monday, police said. Bob Redell reports. 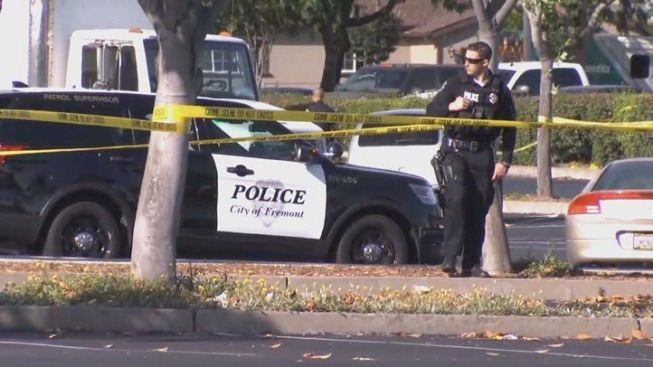 Officers in Fremont shot and injured a man who was waving a metal pipe and threatening people in a shopping center parking lot Monday, marking the third police shooting in the Bay Area in a two-day span. The shooting was reported around 4 p.m. in a shopping center near the intersection of Mowry Avenue and Blacow Road, police spokeswoman Geneva Bosques said. Officers in Fremont shot and injured a man who was waving a metal pipe and threatening people in a shopping center parking lot Monday, police said. Terry McSweeney reports. Shoppers flagged down a patrol officer and told him they had been threatened by the man, police said. "A citizen basically contacted (the officer), advising him a subject was waving a pipe and threatening people," Sgt. Ricardo Cortes said. A foot chase ensued, and the suspect finally stopped. He was only 10 feet or so from the officer, still holding the 10-inch-long pipe in his hand, when the officer opened fire, police said. "This quickly unfolded within one to two minutes," Cortes said. The shooting was reported around 4 p.m. Monday in a shopping center near the intersection of Mowry Avenue and Blacow Road, police spokeswoman Geneva Bosques said. Thom Jensen reports. 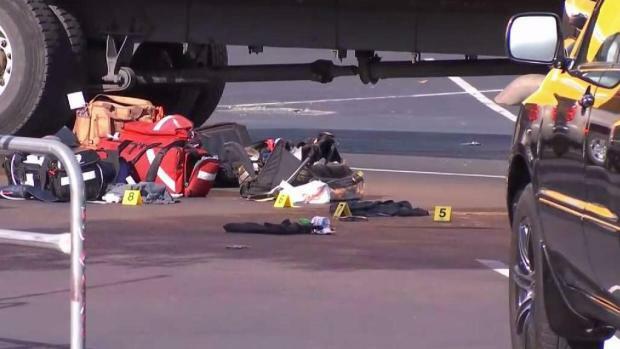 A woman who witnessed the shooting told NBC Bay Area the officer fired three shots, and the suspect was hit in the shoulder and stomach. Police did not confirm the number of shots or the suspect's injuries. The man was taken to a trauma center, police said, but his condition was not known. The officer has been placed on temporary leave as a standard in an officer-involved shooting. A more detailed report of the incident is expected in two or three days after the officer and witnesses are interviewed, police said. Monday's shooting came several hours after a man died in an officer-involved shooting in Vacaville and just one day after a man wielding an ax was shot by police in San Jose. The man shot in San Jose was later pronounced dead at the hospital. Investigating an Officer Involved Shooting that occurred around 4 pm. Very early on, nothing further at this time.